Expedia has some Mussoorie travel packages ready and waiting for you. Combining your lodgings and airfares is one of the most straightforward ways to save money on your trip. Book your package today on Expedia and gain savings of up to C$590*! It's that easy! Our comprehensive database lists more than 400 partner airlines and 321,000 worldwide properties. With such a wide range to select from, you can't go wrong! There are loads of awesome things you can do when you visit a new destination. So why not get your trip to Mussoorie off to a great start by checking out some of our recommendations? After all – out there starts here! Burn off that cheat meal and get a breath of fresh air by walking up Gun Hill. Make sure you keep your eyes open for wildlife too. There's a great range of things to do in this destination. Take a good read, find an inviting spot and enjoy the natural garden breezes at Municipal Garden. Still have time on your hands? Eager to add some deeper meaning to your trip? Make the trip to Mussoorie Christ Church. Regardless of your beliefs, it's the perfect place to learn a little about the local faith. Sometimes, looking for somewhere nice to stay is tough. Fortunately, that's not the case in Mussoorie. Here, you can choose from approximately 22 properties. Expedia's the place to be for the best cheap vacations and luxury getaways. 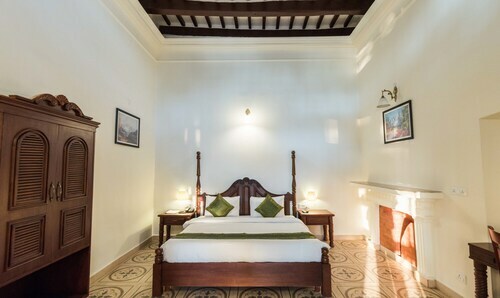 You'll have the chance to explore the neighborhood from a comfortable base should you decide to stay at the WelcomHotel The Savoy - Member ITCHotel Group (Library Bazaar, Gandhi Chowk) or the Royal Orchid Fort Resort (Tara Hall Estate). Let's be honest, no one looks forward to hanging out at the airport. However, if you start to envision the fantastic trip to Mussoorie that you're about to have, it becomes a little less tiresome. After all, you'll be just 20 miles (32 km) south of your destination when the wheels hit the tarmac at Jolly Grant Airport (DED). Walk or ride a cable car to the summit of this hill to take in magnificent views across Mussoorie’s rooftops and distant Himalayan peaks. Both an exquisite natural landmark and an entertainment center, this stunning waterfall has swimming pools, boating activities and restaurants. This secluded waterfall is a popular picnic spot surrounded by verdant hills and home to a swimming hole, which is ideal for taking a refreshing swim. 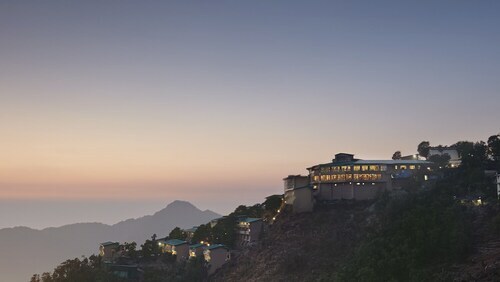 Located in the mountains, this family-friendly hotel is within 6 mi (10 km) of Kempty Falls, Mussoorie Christ Church, and Municipal Garden. Gun Hill and Jharipani Falls are also within 12 mi (20 km). 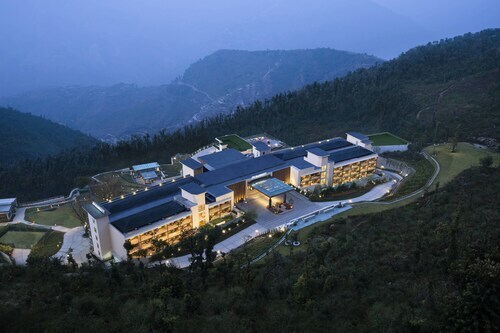 Located in The Mall Road, this hotel is 1 mi (1.6 km) from Mussoorie Christ Church and 1.6 mi (2.6 km) from Gun Hill. Municipal Garden and Jharipani Falls are also within 9 mi (15 km). Built on an individual bluff in a resort hill station, Jaypee Residency Manor is 3.5 km (2.2 mi) from 2 access points to the Mussoorie Mall. Dehradun, the closest rail station, is an hour-drive away. 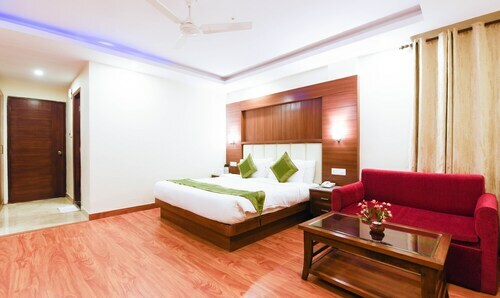 Situated in Dehradun, this hotel is 1.9 mi (3.1 km) from Mussoorie Christ Church and 2.5 mi (4 km) from Gun Hill. Jharipani Falls and Municipal Garden are also within 6 mi (10 km). Located in The Mall Road, this hotel is within 1 mi (2 km) of Mussoorie Christ Church and Gun Hill. Municipal Garden is 2.8 mi (4.5 km) away. Located in The Mall Road, this hostel is within a 15-minute walk of Mussoorie Christ Church and Gun Hill. Municipal Garden is 2.3 mi (3.7 km) away. Located in The Mall Road, this hotel is within 1 mi (2 km) of Mussoorie Christ Church and Gun Hill. Municipal Garden is 1.3 mi (2.1 km) away. 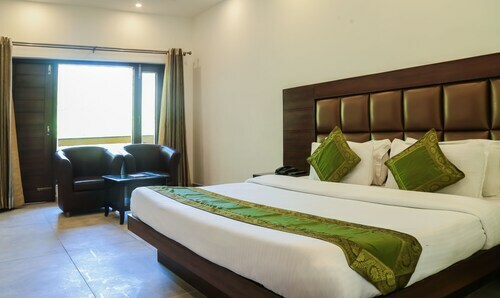 This family-friendly Dehradun hotel is within 3 mi (5 km) of Municipal Garden, Mussoorie Christ Church, and Gun Hill. Kempty Falls and Jharipani Falls are also within 12 mi (20 km). Thu., 11 Jul. - Thu., 11 Jul.